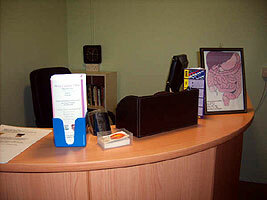 At the Moira Colonic Clinic our prices are amongst the most reasonable in Ireland. Initial first colonic session (allow 2 hours - including full consultation) £50 and subsequent treatments £45. We also have a Special Offer of 4 colonic sessions at a superb price of only £155 (can be paid in 3 installments). A booking deposit (non-refundable) of £30 must be paid in advance at time of booking (deducted from balance of treatment at first session) - which is forfeited if a client does not turn up or if a minimum 48 hours notice is not given to us of a cancelled appointment. Herbal enema included in price. N.B. I do not have a credit card facility. Payment can be made by cash, cheque (guaranteed by bank card) or E-bank transfer. Note: Some health insurance companies are now including colonic irrigation in the range of complementary therapies they will cover for those holding their health insurance.